Ruby Flippo 12th April 2016 12th April 2016 Comments Off on Rebecca Mersh Achieves World Youth Qualifying Time. 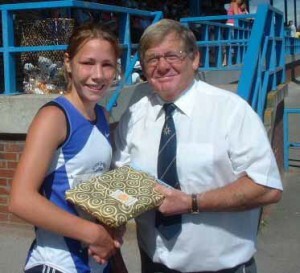 The third City of Sheffield victory came from national U15 Girls champion Kathryn Granger whose sharp 15.07 for 3km took her to seventh place in the all time U15 rankings. Further down the field Mark Pratt got closer to the 16 min Barrier with 16.19 and Natalie Myers produced her second fast time of 16.37.